The tasks on offer weren't that appealing in the Tallot system. It's right next door to Dominator fighting, but I'd rather still wait for better firepower. Through a scan of the records it seems Mars has a similarly small Lezka as the one I have, so a trip home might be on the cards. 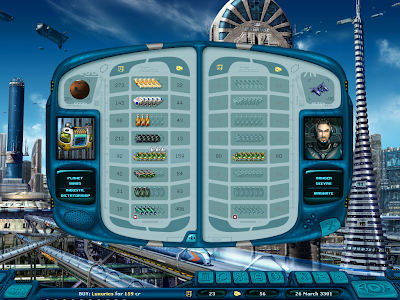 With no time-based tasks to set the pace, I took my time getting back to the Sun by picking up flotsam and intercepting asteroids. There was a welcome surprise when planet Astron in Betelgeize gave me a reward for cleaning up asteroids on a collision course with that planet. Nice! Arriving at Sol I popped back into Oldy Ranger Centre to check up on our progress and donate the nodes that had been clogging up my hold. 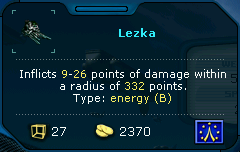 Mars was next to sell off minerals, refuel, and pick up the Lezka that was still available (luckily, the last trip based on looked up prices turn into a disaster). Mars also had an oversupply of luxuries, so if I can string together a couple of runs to Earth I could make a substantial amount of money. 2 trips netted another 5k, bringing my current total to 18,539cr. With 2 Lezkas and a full bank I'm happy heading back to the front lines. Maybe I can hook up a delivery going that way?